Raw Skillz fuses both JazzedUp-Funk and 90? ?�s Classic Hip Hop beats, all with the deep and raw soul-stained style that we are so well known for. 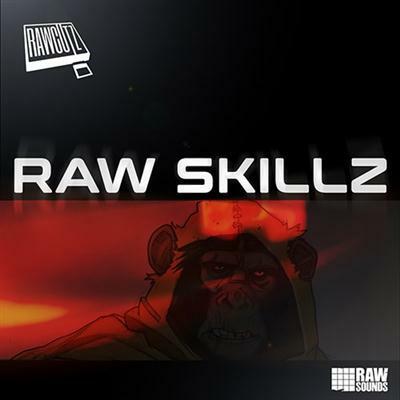 Raw Skillz is a truly seminal force in using and abusing professional beat maker skills! Mixing Crackling Vinyl Cutz, Chopped-Up Chords, MPC Kicks, Poppin? ?� Snares, Crunchy Hats and Percussion, Dubby Funkster Basses and Chops, Deep and Atmospheric FX and loads of Boomin? ?� Breaks and Hip Hop Loops - Raw Skillz will definitely be used and rediscovered for many years to come - designed for all the hungry Hip Hop producers and avid Downtempo Beat makers. the Raw Skillz Everything Bundle at AudioZ feature both Native Instruments Maschine Kits, and Ableton Live Drum Racks ? ?� all programmed and edited in a consistent and user friendly structure so you can change kits and samples quick and easy to try out all new different combinations of sounds for your next project. The Maschine Pack includes 282 Kit Groups of 16 samples per Group, and 100 Projects ? ?� all readily mixed and organised including hundreds of demo patterns and projects.